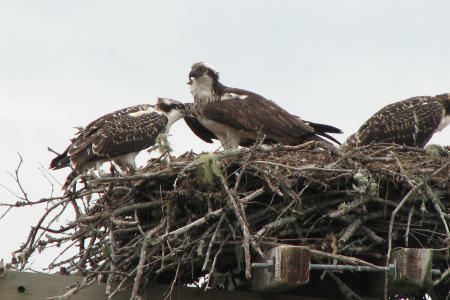 Ospreys are large fish-eating hawks. 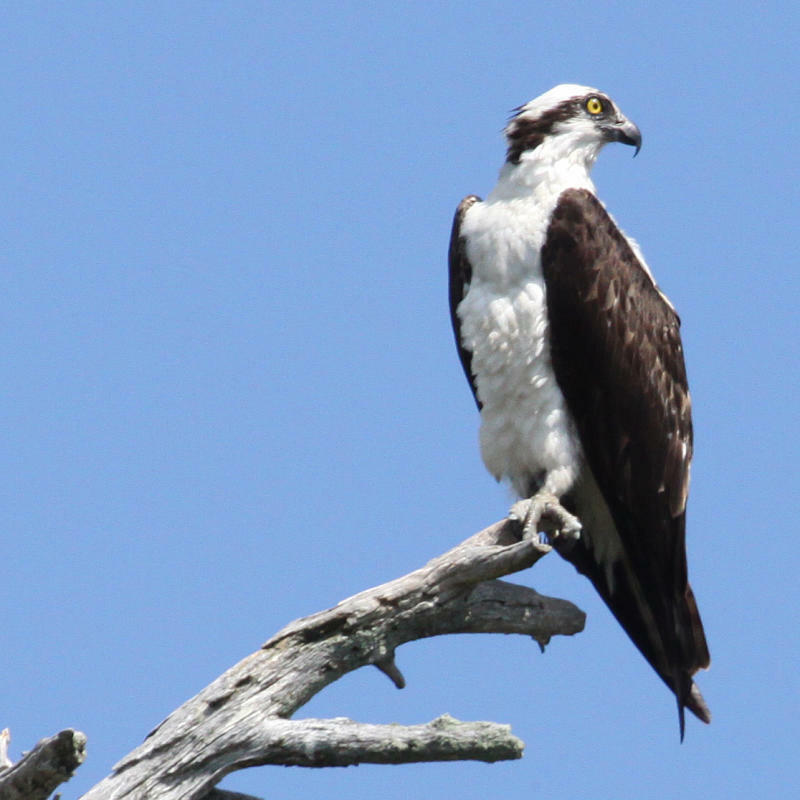 Both male and female are dark brown above and white below with long wings crooked at the wrist; the dark eyestripe on the white face is distinctive. Their calls are shrill whistles. Ospreys circle in search of fish and then dive feet first from 30 metres or more above the water, almost completely submerging themselves. 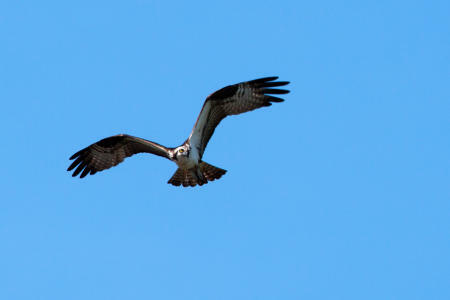 They are often seen flying to a feeding perch with the catch dangling from their feet.